Capture, Score and Share the Game! The World Cup as viewed through ScoreCam with our custom scoreboard (TapBoard) showing the score and Clint Dempsey's goal. Just tap the screen to change the score. Tap+Hold to modify the scoreboard colors, team names, and more. 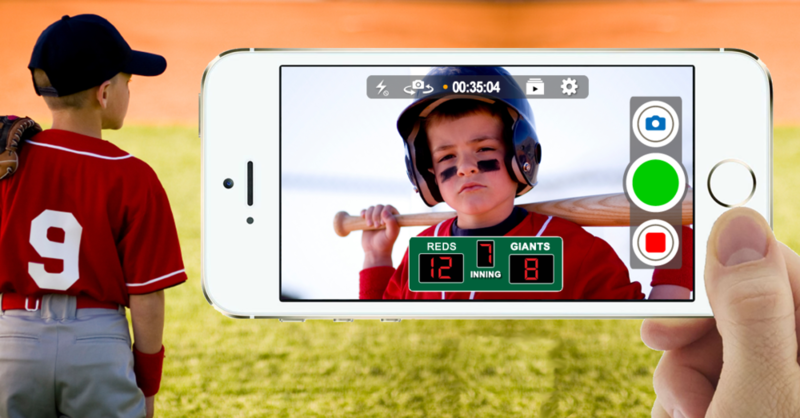 With ScoreCam for iOS you can keep score while simultaneously recording the live action with full Pause and Live Camera functionality. Every dad or mom, friend or foe, can capture the game as an amateur sports videographer. Use all the latest equipment. You can be a hero! Zoom in on the action using accessories like an Olloclip 2x zoom for iPhone. Its all possible with GameTime and your iPhone or iPad! Check out great iPad accessories like the iOgrapher to add 37mm lens, and full tripod mounting capabilities to your game!